Self-Care is so huge when it comes to our happiness! Finding and doing those things that we need to do to take care of ourselves can make such a difference. The thing about self-care is that it is so personal. What works for me for self-care, might not work for you. For example, if you consider yourself to be an extrovert, or social butterfly, maybe being around people recharges you. Going to a party, hanging out and talking with friends, works for you to get you back to feeling like yourself. Maybe you are more of an introvert, and need to have time alone to recharge. It all depends on who you are and what you need to find balance and feel whole. You might have to try out different activities to see if they work for you. Painting might really calm you and bring you back into focus, or painting might be super frustrating for you, in this case, painting is not self-care for you. 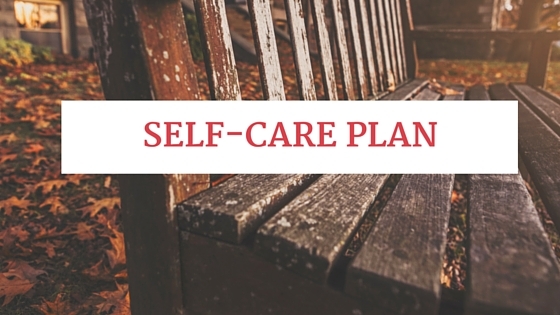 Self- care for me involves a balance between alone time and time with people I care about. When I am feeling overwhelmed I really need that alone time to cry and process by myself before I can process the stress with others. This helps to give me a sense of clarity and to understand exactly where my needs are, so I can then ask for what I need from my support system. Self-care for me, also includes being active and trying new things, going to new places. Travel refreshes me, to see new faces, landscapes and places. Without travel, recharging for me can be done by laughing with family and friends. Getting lost in a good book or movie can feel like a mini vacation from stress. What works for you? Comment or send me an email and let me know what you do for self-care. Self-care is not selfish, it's very necessary!